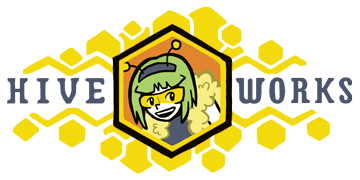 I admit, I positioned Trigona so that her antennae and/or halo would be obscured by a speech bubble. Don’t be mad at me – be mad at the Sciencemen for talking so dang much. Does this mean that Handsome Large Cyborg and Beeserkest can’t be alive at the same time? I’m simultaneously laughing, and extremely disappointed. Well played, sir. Wait, it’s been years within the comic’s continuity since they made Beeserker? Sounds implausible. It’s much more likely she’s a highly advanced model of Beeserker waiting in robot heaven to be invented.